FROM THE GREEN COLLECTION: Rare biblical artifacts coming to Pa. Convention Center (Alison Burdo, Philadelphia Business Journal). 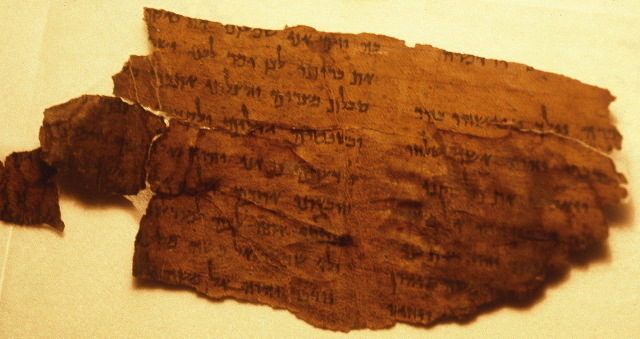 Pilgrims heading to Philadelphia for the World Meeting of Families and papal visit will have a chance to see fragments from the Dead Sea Scrolls and other rare biblical artifacts dating back hundreds of years at an exhibit at the Pennsylvania Convention Center. The display, Verbum Domini II: God's Word Goes Out to the Nations, will be free to the public and available at the Convention Center from Sept. 21 through Sept. 26, which is the day Pope Francis is set to arrive in Philadelphia. The exhibit showcases more than 80 items from one of the world's largest private collections of rare biblical texts and artifacts, which are a part of the Museum of the Bible's Green Collection and were originally shown at the Vatican, according to World Meeting of Families organizers. More on the Bodmer Psalms Codex is here. More on the Codex Climaci Rescriptus is here and links. And follow the links in those posts for more on the Green Collection. Another museum exhibition of Bible-related artifacts opening in Philadephia, also in honor of the Pope's visit, is noted here. A Northwest-Semitic seal excavated in ... Russia?